Winter is finally here and lets be honest it is the hardest time to look great. Well at least it is for me and I love dressing up. Ok, so how do I do it. If you follow me on any level you know that I change my hair as often as I can. There is something about changing my hair that is super comforting, (a sign of progress or change) so every winter I choose to go for a hairstyle that will not only challenge me, but keep me stylish. I will tell you all this; it is not my first time going blonde, but this time is definitely different. I could get away with anything when it was a blonde weave. This blonde TWA requires work and research. Luckily, I love doing my own hair so it is nothing new me. Back to the fashion. 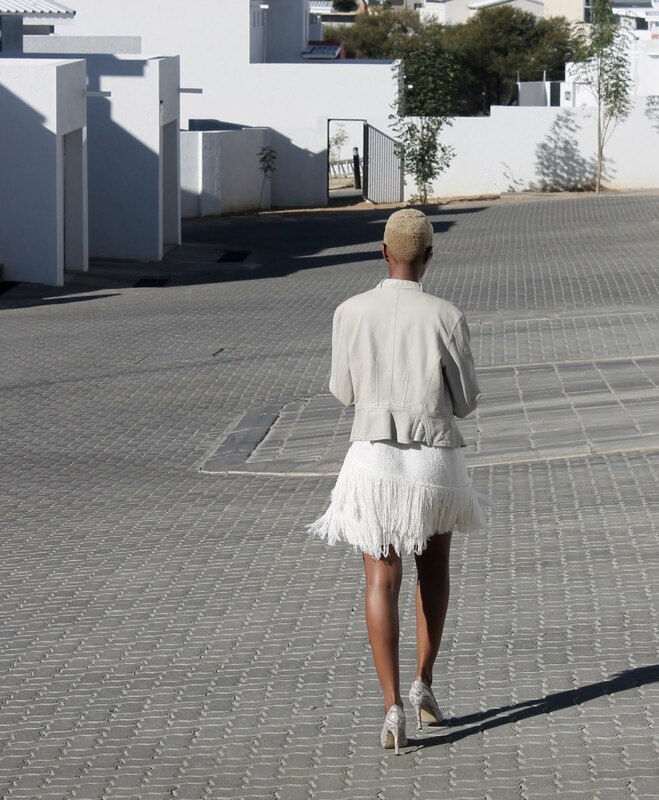 The reason why I love this look is because it was such a great day time look especially for a Namibian winter. It is sunny all day, which makes black very hard to wear on a daily bases, but the air is cold so you still need to keep warm. This mix of beige and off white tones with a great mix of textures works with my hair and the weather. Hope this look inspires you to keep it fly this winter. S/O to Laurasia Andrea for the great advice! Dress: H&M South Africa (Is it a dress or a Top? I don't really know. I'm short so half the tops in the world are dresses on me :) ...How to wear it as a top = @newhipsterstyle does just right. LOVE you for loving it! Thanks JB! Glad you liked it! Thank you!!! Mwah!!! New post coming soon!! !